Larry Naylor began his professional music career early. He has been a woodwind specialist for 56 years. While still in high school, he realized that one must be a little crazy to rely completely on music performance as a career. Thus, his first four years of college focused on Pre-Med with emphasis in the physical sciences. As a Viet Nam Era Air Force Bandsman, he came to realize that music was his life. He served in uniform in Hawaii as well as on the East and West coasts. Earning a B.A. [Music] and a M.M. [Woodwind Pedagogy], at the University of Colorado at Boulder, he also taught instrument repair classes & workshops, applied saxophone, and woodwind doubling there. He has given workshops at the Lamont School of Music and VanderCook College, and presented repair clinics for NAPBIRT national conventions. He presented a technical clinic for ICA’s ClarinetFest ’97 in which he offered his on-going research in the maintenance and restoration of grenadilla and rosewood instruments. He is a published author, especially in technical journals, including NAPBIRT’s TechniCom. 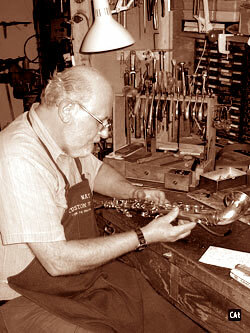 Moreover, within NAPBIRT, he functions as a Woodwind Master Clinician and Reference Repair Technician. In addition to NAPBIRT, Larry is a member of both the International Clarinet Association and the International Double Reed Society. 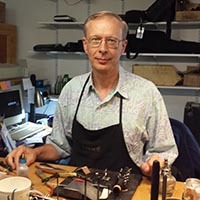 His unique approach to instrument repair developed from his experiences as a cabinet maker, and then precision tool & die machinist for Boeing Aircraft -- atop his training in the physical sciences and music performance. When analyzing a client's performance problems, Mr. Naylor easily uses the simultaneous viewpoints of professional performer, seasoned technician, astute teacher, and amateur scientist. 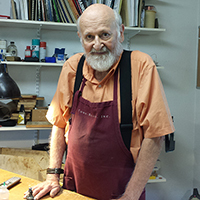 He founded Naylor’s Custom Wind Repair [NCWR] in Englewood, Colorado in 1981. Larry moved NCWR to its current location in Centennial in 2004.